Skiing season is upon us! For some, this brings maximum excitement and adrenaline. For others, this is the perfect time to kick up their feet and relax. 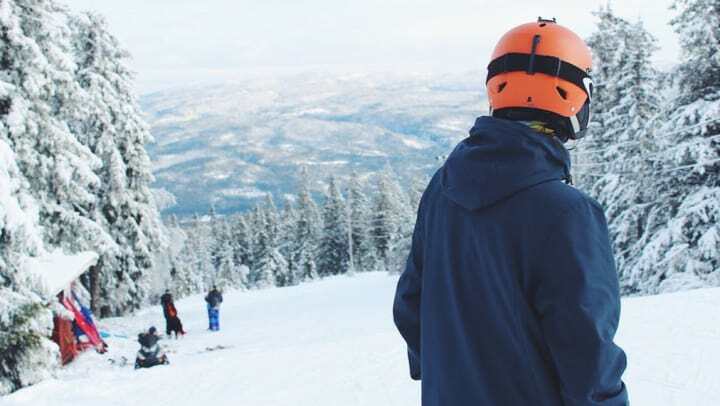 Whether you enjoy hitting the slopes, or hitting the lodge for some time by the fire, we’ve done our research and put together a list of the best skiing spots, by location! Crystal Mountain is less than 2 hours away. Not only do they have impressive skiing & snowboarding runs, but also offer snowshoe tours and gondola rides. Worried about parking? Don’t fret! Crystal Mountain has parking for roughly 3,000 vehicles (wow!). They also offer alternative transportation options via MTR Western buses, which pick up in Downtown Seattle, Greenlake area, South Lake Union, and Bellevue College. There are several lodging options on the mountain, including resorts, hotels, and condos. Or, if you happen to have a hefty home on wheels, they have overnight RV parking to make things easy and affordable. Mt. Hood Meadows is about 1.5 hours away. This mountain has something for every level of skill, and boasts 11 lifts and 85 runs. If you are a beginner, Mt. Hood Meadows offers lessons and coaching. If you are an experienced skier looking to escape parenthood for the day, there is a daycare on site (how convenient!). After an eventful day of “shreddin’ the gnar,” enjoy several restaurant options and shops. Too tired to drive home, or want to enjoy another day on the slopes? You’re in luck! All types of overnight stay options are available for reservation. As if things couldn’t get better, Mt. Hood Meadows regularly hosts events and entertainment, which is posted on their website’s event calendar. Heavenly in Lake Tahoe is about 2 hours East of Sacramento, on the stateline of California and Nevada. In addition to their 28 lifts and 97 trail runs, the ski resort offers lessons, including child development teams! On holidays and weekends, book a guided UTV tour; on this 45-minute tour, you will hop on an all-terrain vehicle at the top of the gondola and learn all about Lake Tahoe, the environment, and have a chance for awesome photo opportunities on the way down. After a long day on the slopes (skiing or UTV-ing), there are countless restaurant and brewpub options for food and drink. If you are looking for a fun night out, there are several casinos, bars, and nightclubs around Heavenly Village. In addition to Heavenly Village parking, many nearby lodges offer free parking for guests, so you don’t have to worry! Big Bear, which features two mountains, is located 1.5-3 hours outside of Los Angeles (depending on which area you are coming from) in the San Bernardino National Forest. Both mountains offer tons of lodging and transportation options, which makes planning your trip a breeze! These mountains have the most consistent snow conditions in the area, thanks to their snowmaking system (yes, you read that right), which is why they hosted the Winter X Games in 1997. The first of the two mountains, Bear Mountain, has 11 lifts and 32 trail runs. The second mountain, Snow Summit, has 14 lifts and 31 runs. You will find different terrain parks catered to experience, with both a skill builder and freestyle park. Big Bear is also home of Red Bull Plaza, which has been host to a popular annual winter kickoff event called Hot Dawgz & Hand Railz (you have to check it out)! Enjoy Movies in the Meadow, an outdoor screening event of popular films, where admission is free! If you have a winter birthday, you’re in luck! Enjoy a free lift ticket on your special day. If you are interested in learning more about their events and deals, you can access it online. With all of this information, the only thing left to do is book your trip. Always remember to check mountain conditions before you head out for the day. Many ski resorts have apps you can download to your phone so that you can check conditions on the go.